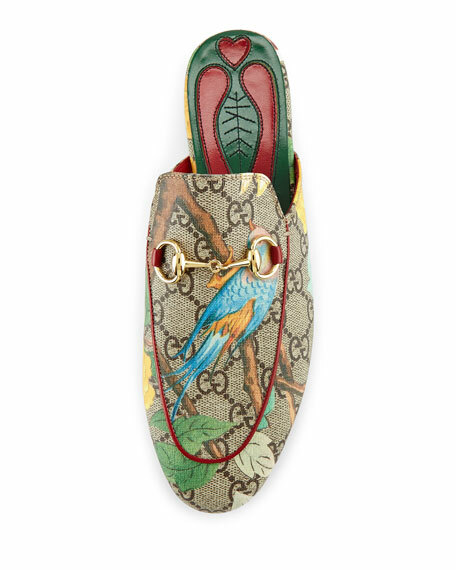 Gucci mule slipper, reintroduced in overprinted GG supreme canvas. Rounded apron toe with red leather piping. Slightly cushioned leather insole and canvas lining. For in-store inquiries, use sku #1709316. 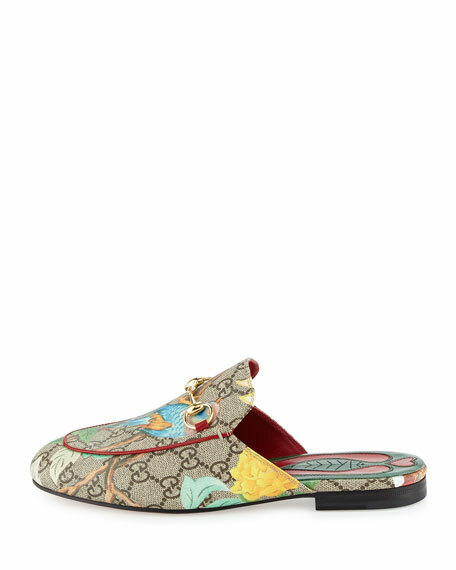 Gucci flat mule in dyed lamb shearling (Italy and South Africa) with leather trim. Flat heel. Round toe. Golden horsebit buckle detail. Notched vamp. Slide style. Fur lining. Padded footbed. Smooth outsole. Made in Italy. Fit: Runs true to size. 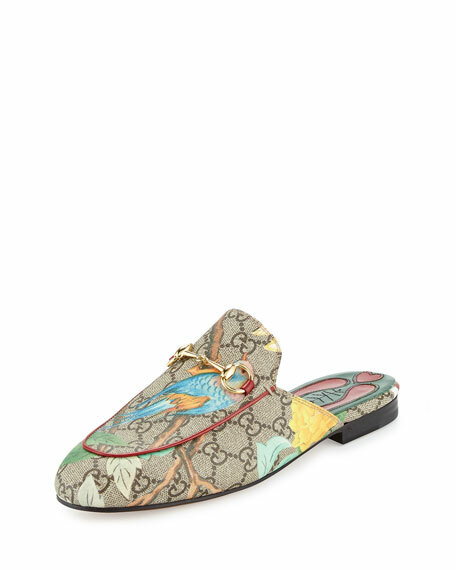 Gucci snakeskin mules with signature sylvie web center. 3" covered stiletto heel. Pointed toe. Blue/red/blue Web grip strap. Horsebit buckle at vamp. Slide style. Leather lining and sole. "Emma" is made in Italy. Fit: Runs true to size.